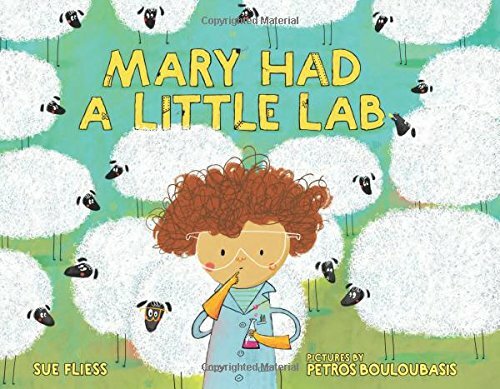 Mary’s nursery rhyme gets an engineering STEM-themed update! This inventor Mary cleverly builds a machine that makes a wooly sheep pet. When her machine gets stuck on, she makes way too many sheep. Good thing she’s an inventor and can fix it! Very clever rhyming; there’s a lot to love about this smart engineer Mary. 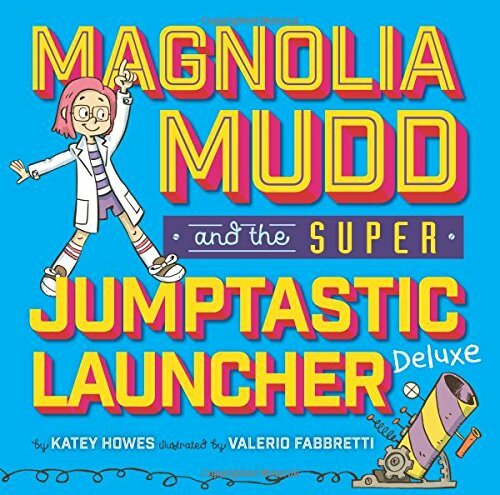 Rosie is an exuberant inventor who uses things around her to invent wonderful contraptions — like the flying machine she makes for her great-great-aunt Rose. When it doesn’t fly, Rosie thinks she’s failed. But her wise Aunt Rose shows Rosie that failure is a success — and that failure only happens if you quit. 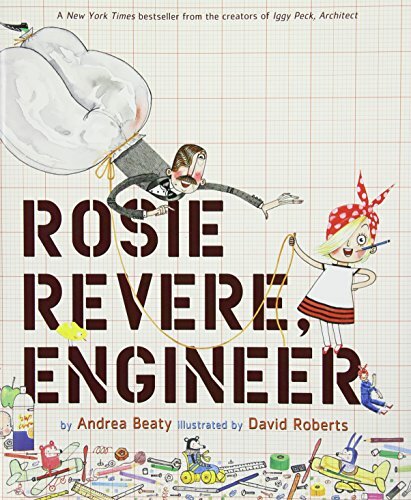 This is an excellent, engaging activity book based on the fantastic STEM Rosie Revere, Engineer picture book. Colorful illustrations and a cool layout will entice readers to try, fail, and learn in this new STEM activity book for budding engineers like Rosie. Learn about simple machines, build a marble run, solve engineering challenges, design a stuffed animal carrier for your bike, learn about inventors who failed a lot, and so much more. 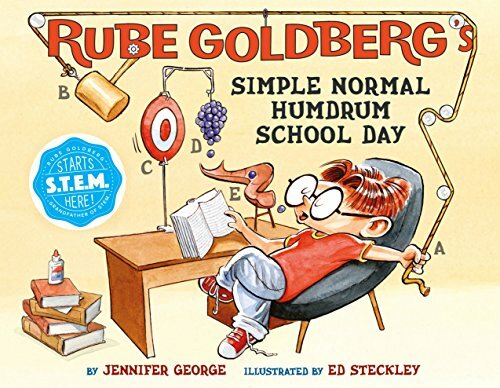 Kids will pour over the pages in this book to read and see how Rube uses simple machines in a series of wacky and inventive steps to accomplish basic tasks — which ironically Rube calls simple. 😃 From waking up in the morning to going to bed and lots of tasks in between (painting a picture, catching the school bus, avoiding baby brother’s flying food), kids and adults alike will be fascinated (and entertained) by Rube’s complicated contraptions to do simple things. 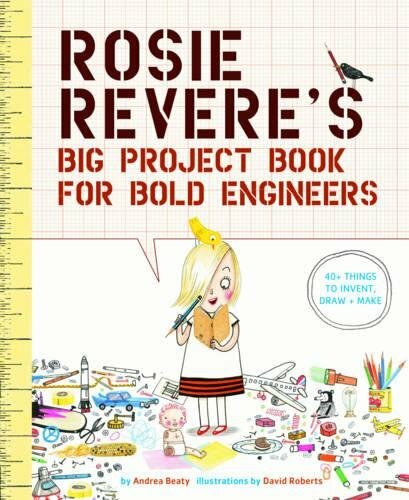 A wildly imaginative book perfect for budding engineers. Do you like to tinker?! Gus does. 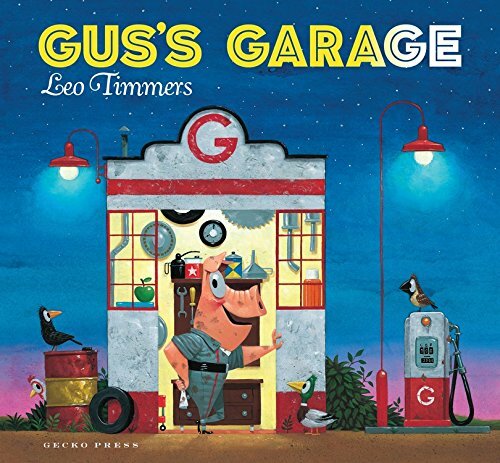 Gus’s friends visit him with their various problems for him to solve with inventions. Rico needs a bigger seat on his scooter, Gina needs a warmer neck in her car (she’s a giraffe), Miss P. needs refrigeration, and so on. Watch how Gus uses the materials in his full garage to build solutions for his friends. Gorgeous illustrations & inspiring inventions. 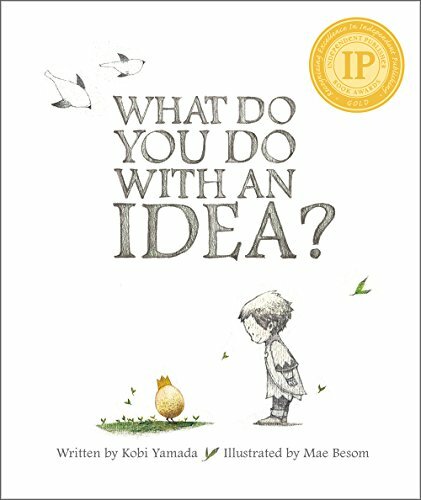 This kid-favorite picture book shares the inspiring story of Iggy, a creative thinker. 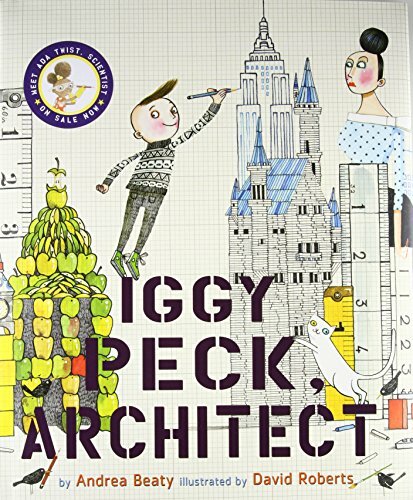 Unfortunately, Iggy’s teacher does like Iggy’s love of architecture. But when the class gets into trouble, it’s Iggy’s architectural thinking that saves the day. 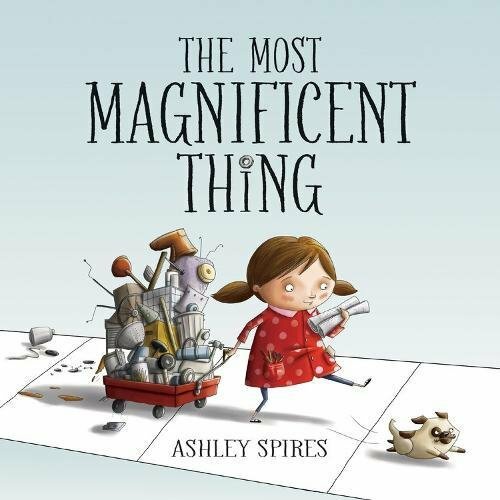 Ashley wants to make the most magnificent thing. But like sometimes happens, her thing doesn’t turn out like she wants. So she gets mad and gives up. After a short walk, she starts to feel better. And when she goes back to her thing, she sees it with new eyes and makes a magnificent thing after all. A great life lesson! What do you do when faced with challenges? One day a child has an idea. This special idea is personified as a golden egg which I love. It’s a cool way to treat an idea — as a physical thing. The child feels better with his idea, he cares for his idea, and he realizes his idea can change the world. 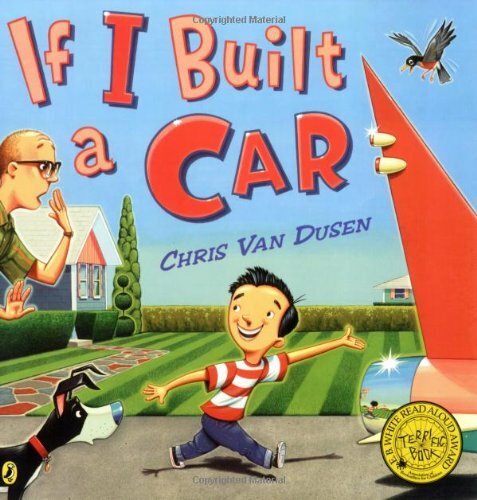 Sitting in the back of his father’s car, a little boy knows he will build something better — a spectacular car with quiet jet engines, retractable wings, a snack bar, and a pool, . . . his car will be able to drive underwater. Even if you’re not a big fan of the rhyming text, inventors and dreamers will enjoy the boy’s creative ideas shown in colorful illustrations. 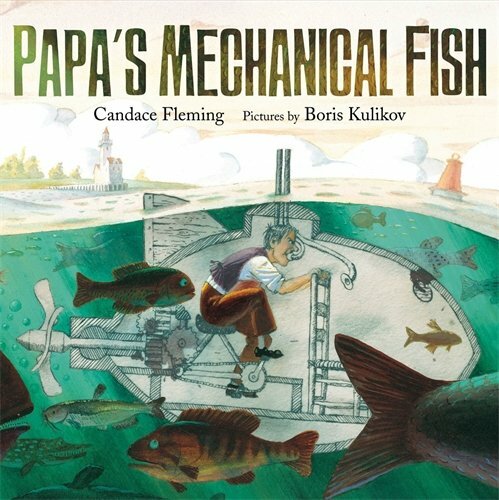 Inspired by his daughter’s question of what it would be like to be a fish, Papa decides to invent a mechanical fish — a submarine. The picture book engineering story shows that most of Papa’s inventions don’t work properly but he still persists. (Growth mindset!) Based on the inventor Lodner Phillips. 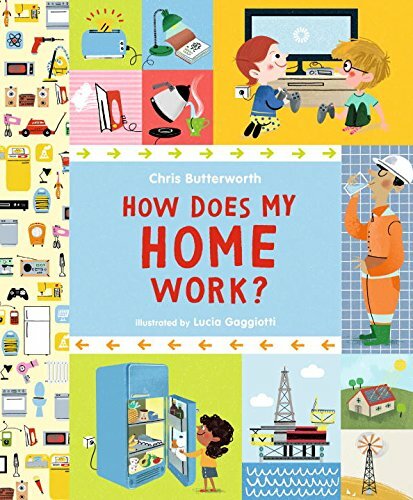 Inviting illustrations and clear wording make this book essential reading for kids to learn about the conveniences we take for granted like light switches, remote controls, water faucets, and so on. The book explains concepts like water treatment plants, how it gets cleaned in a process that goes out to rivers and seas or farmers. The book ends with ways kids can save energy. Love it. Remember the story of The Little Red Hen? 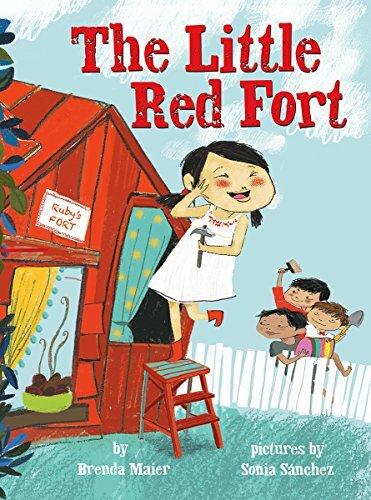 The Little Red Fort is the same set-up but with a girl-powered engineering twist. And it’s SO awesome — both the clever story and the fantastic illustrations!! Ruby asks her brothers to help her build something. They dismiss her idea. She isn’t daunted– she learns and does it herself. She invites them to help with all the steps in the process — making plans, gathering supplies, cutting the boards, hammering the nails — but they always decline. The illustrations show the boys playing outside, playing in the pool, playing on screen time. Of course, when Ruby is all done, the boys want to play in her fort but she says no. To apologize, the boys contribute to the fort — flowers, paint, and a mailbox — then they all have a fort-warming party.